Discover what YOUR numbers reveal about you in our range of courses below. This enlightening workshop will introduce you to the magical world of PYTHAGOREAN NUMEROLOGY. Discover how your birthdate holds the answer to your true life purpose, strengths and weaknesses, personality blueprint and the best times to embark on new projects or ventures. This unique workshop will give you practical guidance on how to interpret your own and other peoples numbers so you can understand yourself and your loved ones with greater clarity, depth and appreciation. 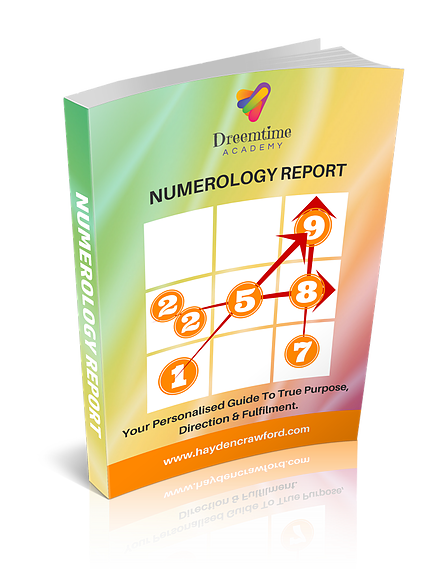 The next step on your journey to discover the magical world of PYTHAGOREAN NUMEROLOGY. Unveil how your birthdate and ‘living’ name hold the answer to your true life purpose, major transitions and personality blueprint. This unique workshop will give you practical guidance on how to interpret your own and other people names and numbers based on the Pythagorean Numerology. You will literally walk away with a clearer vision of your true purpose and direction, your core strengths and weaknesses and the best times to embark on new projects and ventures. I will also include suggestions of which of the Dreemtime Chakra Essences, True Colours Aura Mists and Crystal Bracelets are most appropriate to rebalance your birth-chart and leave your feeling less anxious and more empowered.